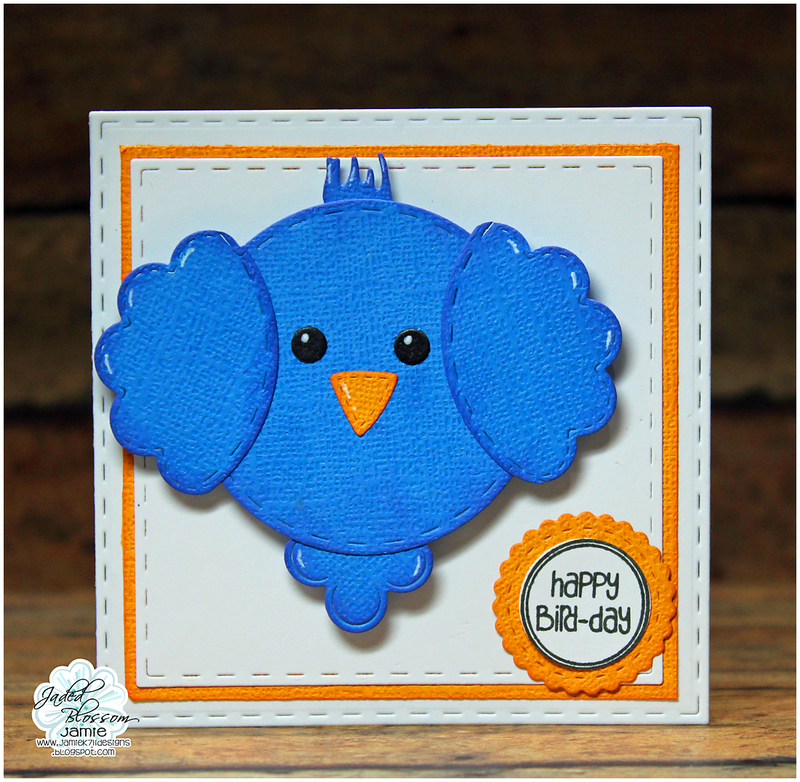 Jamie here with a cute card using the spotlight Birdie Bites! I created a card and base with 2 of the Stitched Square Dies. To create the bird I started with a circle die and then created wings with the flower from Spring Dies. The tail was created with a Scallop Square Die and the hair with the grass die. I used the inside of the Jack o Lantern's eye for the nose and the eyes are from the film die. Last I added the sentiment to a Candy Charm Die. Oh my this is just to cute!! !